Read more on Gigabyte's Kaby Lake-X only X299 Gaming Aorus. I like this move from Gigabyte. But i like more the move from ASUS where on Rampage VI page, as little as there is says: "Rampage VI Extreme does not support Intel® Core™ i7-7740X and i5-7640X processors". 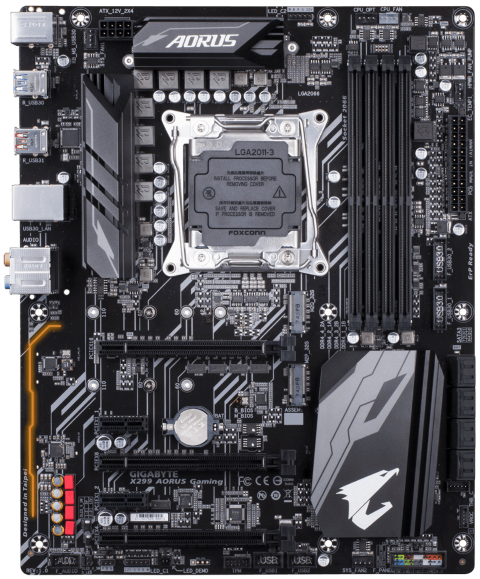 This is a dumb motherboard and a waste of time by gigabyte, it is bad enough intel put that processor on the market, making a specific motherboard for a cpu range that has no business being there is just weird. Take the 3820 for example. It cost more than the 2600k, didn't overclock as well and you needed a £300 (at launch) board for it ! Then they cracked out the 4820k, more of the same. They only really changed that with the launch of the 5820k. I imagine their customer base for this motherboard is going to be very small.